general and ultra marathon runners. More importantly, why does it happen? During exercise and movement, tendons are pivotal in transmitting force from muscle to bone allowing movement. Unusual or excessive exercise can overload the tendon, which will then react. An example would be sudden hill running. The treatment options for Achilles tendinopathy are numerous, and, as always, early management is the key. sometimes, but they can also cause further tendon damage. • Understand the main factor is overuse or simply too much of certain activities – these activities include 1) walking, running, jumping, and 2) loads that compress the tendon. Some people are predisposed because of biomechanics (e.g. strength, etc) or systemic factors (e.g. age, menopause, elevated cholesterol, etc). Predisposed people may develop tendon pain with even subtle changes in their activity. • Exercise. It is the most evidence based treatment for tendinopathy. Your sports clinician will explain how to do this correctly. • Consider only passive treatments such as massage, therapeutic ultrasound, injections, shockwave therapy. • Be impatient! Tendinopathy responds very slowly to exercise, but it DOES respond! 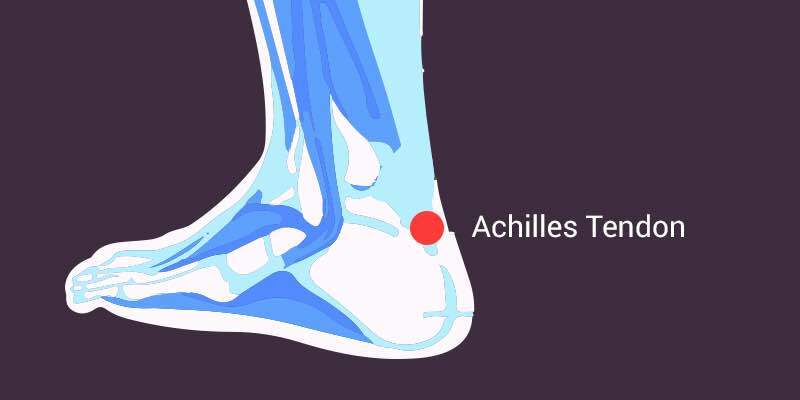 To learn more about the Do’s and Don’ts about your Achilles, read about Achilles Tendonitis and how it is caused.